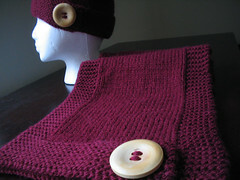 I have finished making this cowl for my friend Cathy. 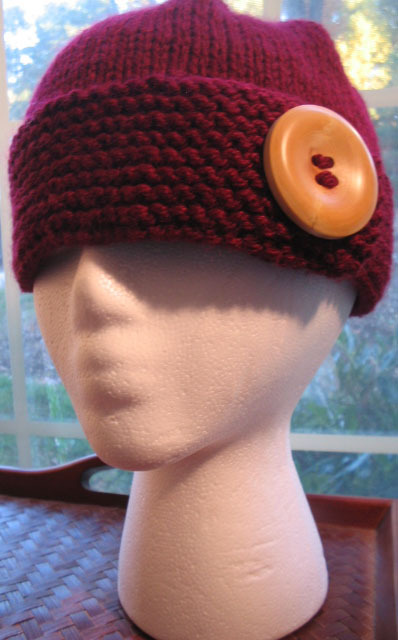 Now, all I have to do is find a suitable box to mail the cowl to her. This will definitely keep her warm in Chicago. Then, she can thank me for keeping her from dying from "cold-as-hell-itis". 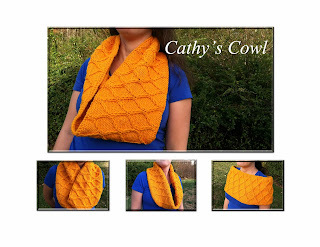 I have written a pattern for this and named it "Cathy's Cowl". Even made a fancy collage showing different ways you can wear it. The person modeling the cowl is none other than my best friend, Seelye (pronounced "seal-ee"). That's her last name. I started calling her by her last name because it cracked me up. You have my permission to call her that, too. You won't see her face in any of the pictures because I didn't want her beauty to steal the spotlight from my creation. For some reason I couldn't leave a comment on your last post, but this answers what I was going to ask. Thank you for sharing your pattern! The cowl came out beautifully.